Wandering the Future | WHO WANTS TO PEE ON THEIR SUSHI? Have you ever had to send samples of your urine and saliva to a restaurant, in order to get food? Or are you more that kind of person that just has a look at the menu and orders whatever suits you best? It might actually not be the best there is for you, so maybe next time you should bring a little sample or you pee after all. It might sound bizarre, we agree, but that is exactly what Sushi Singularity wants you to do. 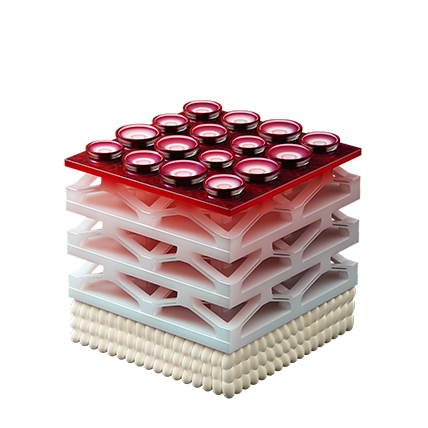 Sushi Singularity is a restaurant that will serve custom 3D-printed sushi based on your dietary needs. These dietary needs are determined by your own urine and saliva. Open Meals, the Japanese company that created Sushi Singularity, envisions two revolutions in food. * – One is that sushi will connect people around the world, and will be produced, edited, and shared online in the form of “new sushi”. – The other revolution would be sushi combined with biometrics, and according to Open Meals, this will enable hyper-personalization of food, based on biometric and genomic data. Sushi Singularity imagines different concepts that are needed in order to enable these food revolutions. – A Food Operating System would allow us to design food digitally and includes a “Social Food Network Service” that is a digital platform for sharing food around the world. – A Food Fabrication Machine, consisting of 3D printers, artificial light farms and data food in any shape or form would make it possible to actually produce the digitally designed food. As for the hyper-personalization of the food, this is being facilitated by the health test kits, that every guest receives in the mail, prior to their visit. You have to take samples of your own urine, saliva, and even faeces and send them to Sushi Singularity. Using this biodata, Sushi Singularity will create a hyper-personalized menu, based on your specific health needs. The restaurant isn’t the first futuristic project Open Meals premieres at SXSW. 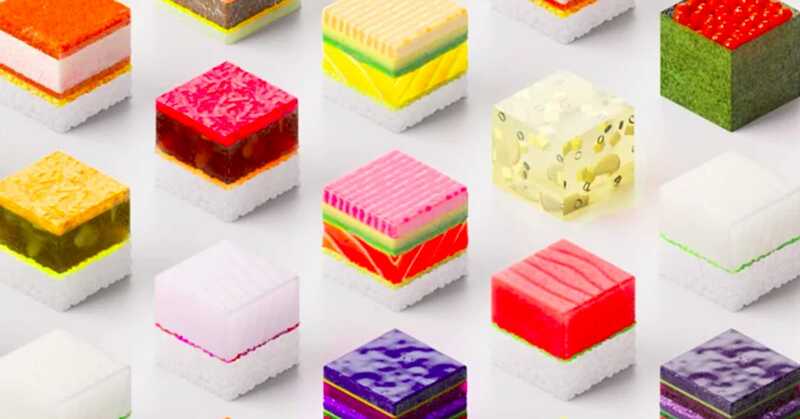 Last year, the Japanese company introduced us to Cube, “world’s first standardized digital food system”, Sushi Teleportation, a food teleportation concept and the Pixel Food Printer. Sushi Singularity uses your biometric data to create a customized menu, that is printed by a 3D printer. While the restaurant isn’t the first to create a personalized meal – McDonald’s also started personalized drive-thru menus – it definitely is the first with this specific combination. The insight we can get from this fairly odd innovation is the fact that health and hyper-personalization is becoming more important for consumers everyday. We want that high-attention service and even expext it from brands. Excited to try it all? Unfortunately, you will have to wait a little longer for that, since Sushi Singularity is due to open in 2020.